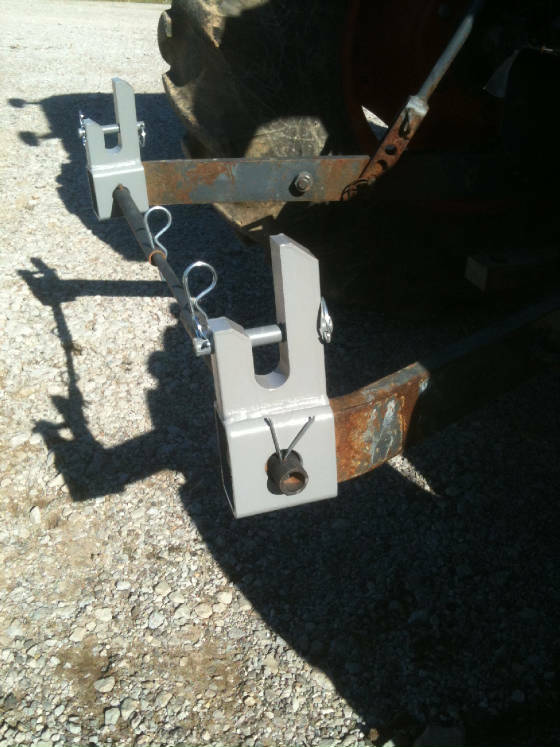 A quick hitch for your tractor has never been so simple. It don't matter what you call it, a fast hitch, quick hitch, quick attach or EZ-HITCH. 3 point quick hitches don't have to be complicated as proven by the EZ-HITCH. Our 3 point quick hitch uses a simple design and requires only a set of pliers to bend the hair pin for installation. With our tractor quick hitch you can switch out 3 point implements fast and easy. Our product comes with a satisfaction gurarantee and lifetime warranty. So the choice is clear, let the EZ-HITCH be your choice for all your tractor quick hitch needs.